A nephew of then-Mayor Richard M. Daley “may have made an admission of guilt” to detectives that he threw the punch that caused David Koschman’s death, attorneys for Koschman’s family said in a court filing Wednesday. Minutes after four of Koschman’s friends were unable to identify Daley nephew Richard J. “R.J.” Vanecko in a police lineup nearly eight years ago, the friends say an unidentified detective told them the police knew who had punched the 21-year-old from Mount Prospect in the face, according to their sworn statements, which Alvarez unsuccessfully tried to keep from being released. ” ‘We know the guy that did it. He’s in there in the other room, and he’s just bawling his eyes out, he’s a big baby. . . . He didn’t mean for one punch to lead to all this,’ ” Koschman’s friend James Copeland recalled during his sworn interview last year with the inspector general’s office, which has been investigating the Koschman case in response to a series of Chicago Sun-Times reports. Copeland’s recollections were backed up by three other Koschman friends who were also with him on the night in April 2004 when their group ran into Vanecko and others on Division Street, according to transcripts of the interviews that a judge ordered Alvarez’s office last month to provide to Koschman’s family and lawyers. ” ‘This guy’ is ‘really broken up about this, he’s really sorry,’ ” Shaun Hageline recalled the detective saying, according to his interview with the inspector general. There’s no reference to any admission of guilt or of Vanecko being upset in the Chicago Police Department’s reports, which the Koschman lawyers say appear to have been “falsified” to justifyVanecko not being charged. The police reports state that Vanecko showed up with a lawyer for the lineup but left without talking to detectives or a top prosecutor who was present. “The failure of the police to describe in their reports Vanecko’s crying and apologizing on May 20, 2004, is, to say the least, disturbing,” the Koschman family lawyers said in the 41-page motion filed with Cook County Circuit Judge Michael P. Toomin. 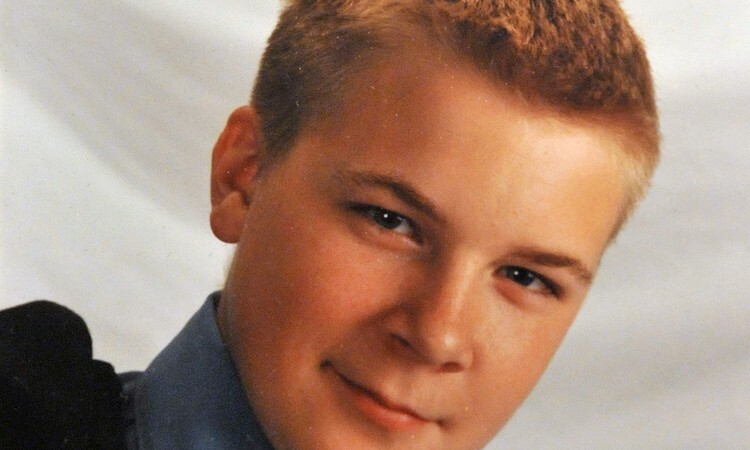 Koschman’s family wants Toomin to appoint an outside prosecutor to re-examine the case. The state’s attorney’s office declined to charge Vanecko eight years ago. Koschman’s death was listed as an unsolved homicide until early last year, when a Sun-Times inquiry prompted the police to take another look at the case. For the first time, they identifiedVanecko as the man who threw the deadly punch but concluded the mayor’s nephew acted in self-defense and didn’t ask Alvarez to consider charges. Alvarez has said her office is now reinvestigating the case along with Inspector General Joseph Ferguson’s staff, so there’s no need for a special prosecutor. Her spokeswoman declined to comment on Wednesday’s motion. Toomin is set to hear oral arguments from Alvarez and the Koschman lawyers on March 30. Alvarez has argued that the interviews with Koschman’s friends and with two bystanders show that Koschman’s friends have given conflicting stories. All six witnesses said under oath that Koschman was drunk and that he was yelling and swearing after bumping into someone in Vanecko’s group but was never physically aggressive during the confrontation, in which he was suddenly punched in the face and knocked to the ground. Koschman died of brain injuries 11 days later. According to Hageline’s interview, Vanecko “was definitely drunk because I just seen that in his glassy eyes, the way he was looking at Dave. It was scary. I knew he was drunk and probably couldn’t be held back by his friends or me. After the 6-foot-3, 230-pound Vanecko punched Koschman, who was 5-foot-5 and weighed 140 pounds, Vanecko and a friend, Craig Denham, ran away – a sign of guilt, Bowman argues. He also asserts that an outside prosecutor is needed to determine how the police knew Vanecko was the mayor’s nephew – something that was noted in a police file that was discovered only after Ferguson began investigating last summer. “How did the detectives learn the information about Vanecko’s relationship to the Daleys?” Bowman wrote.